The president of the Cabildo de Gran Canaria, José Miguel Bravo de Laguna, said Monday that a hundred grancanarias entities participate this year in the international exhibition of tourism Madrid, Fitur, which ensure the defense and international expansion of the tourism industry the island. 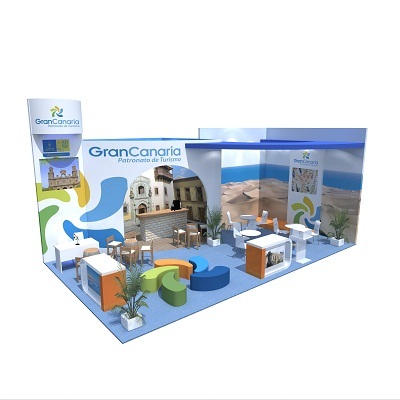 The presence grancanaria appointment at the Feria de Madrid, on January 30 to February 3 next as part of the 33rd edition of Fitur 2013 International Tourism Fair will. Las Palmas de Gran Canaria, Mogan, Maspalomas, the traditional carnival Telde, Valsequillo, North Island and gastronomy products and Gran Canaria are some aspects that enhance Gran Canaria in the next edition of Fitur, presenting to the public all vocational and general interest. Preferred by the Spaniards, Maspalomas, also attends Fitur destination in collaboration with municipal authorities with new businesses, further expanding the range of leisure and entertainment. The stand of Gran Canaria also has services for tour operators, tours of Gran Canaria, including iconic areas like Mogan with its routes and proposals to accommodate the most demanding tourists who want to combine leisure with knowledge of the island.